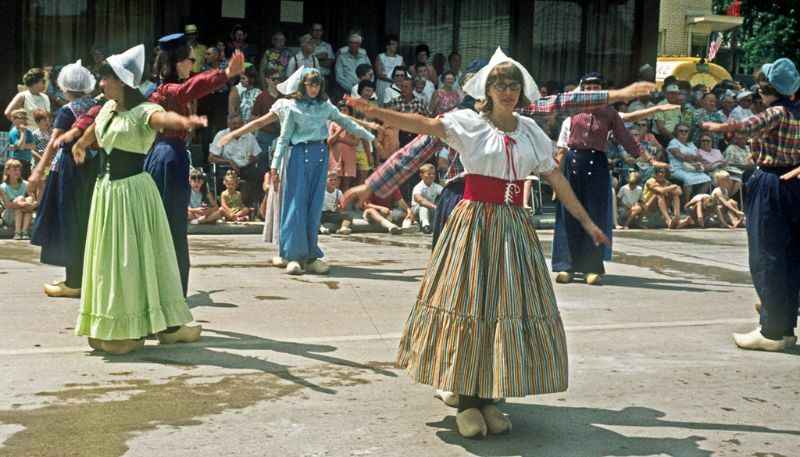 Every year in July, Cedar Grove, Wisconsin celebrated its Annual Holland Festival. The town remembers its Dutch heritage with a two-day celebration, the Holland Fest, held in Memorial Park the last Friday and Saturday in July. The festival features ethnic foods, music, and 2-mile and 10K runs. Before the Saturday afternoon parade the main street is scrubbed by children and adults dressed in traditional Dutch costumes to prepare the road for the Klompen Dancers and parade to follow. 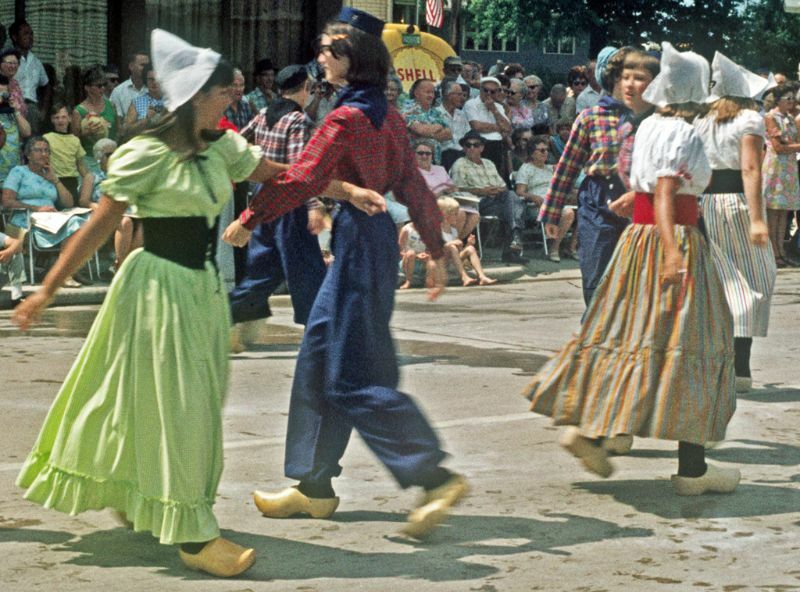 Klompen, the traditional wooden shoes worn by the Dutch, are donned for dancing, street scrubbing and a children’s race at the Holland Festival. 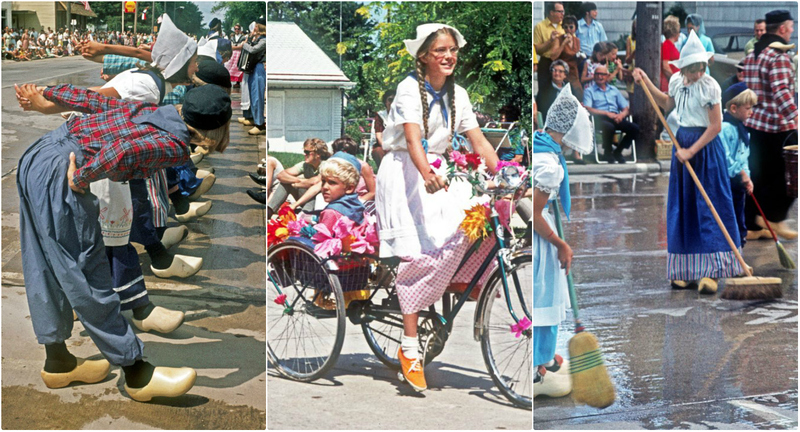 The roomy wooden shoes were originally worn by the Dutch to work in the fields where they protected them from the cold and the moisture. The Klompen Dansers, many of the younger generation, will tell you that they are really quite comfortable, and the younger ones actually run races in them (Friday afternoon). But they will also admit to wearing multiple pairs of socks or even sponges in their shoes. Klomping down the street to accordion music is said to be reminiscent of Dutch ancestors congregating on old cobblestone streets to attend a village event or church gathering. Cedar Grove residents pride themselves on the cleanliness and neatness of their community. 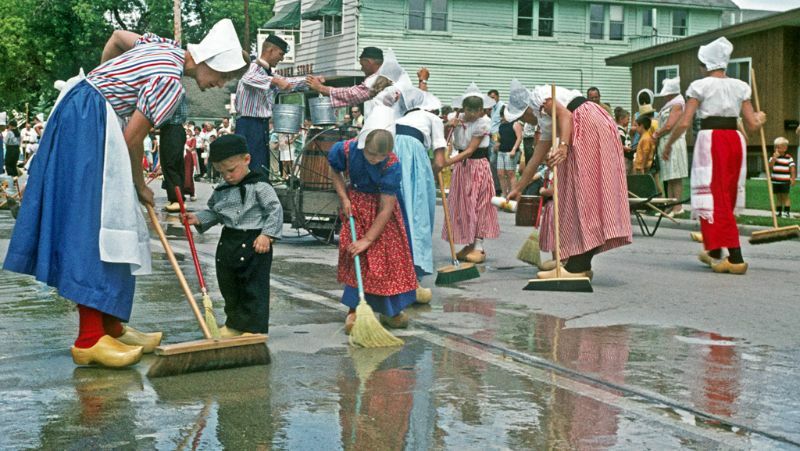 During the Holland Festival, residents of all ages take to the street in costume to participate in the ceremonial street scrubbing. Armed with “Old Dutch” cleanser, an assortment of brooms, and water from wooden barrels or buckets, they scrub the pavement until the Burgemeister (village president) declares it clean. Only then do the Klompen Dancers kick up their heels. Take a look at these fascinating photos taken by Charlie Kellogg that show the Cedar Grove Holland Festival in 1968 and 1971.